348-Verona Vicenza - Italia . The map belongs to the Atlas sive Cosmographicae Meditationes de Fabrica Mundi et Fabricati Figura, published in 1644 in Duisburg. 350-Il Bellunese con il Feltrino - Veneto - Italia . 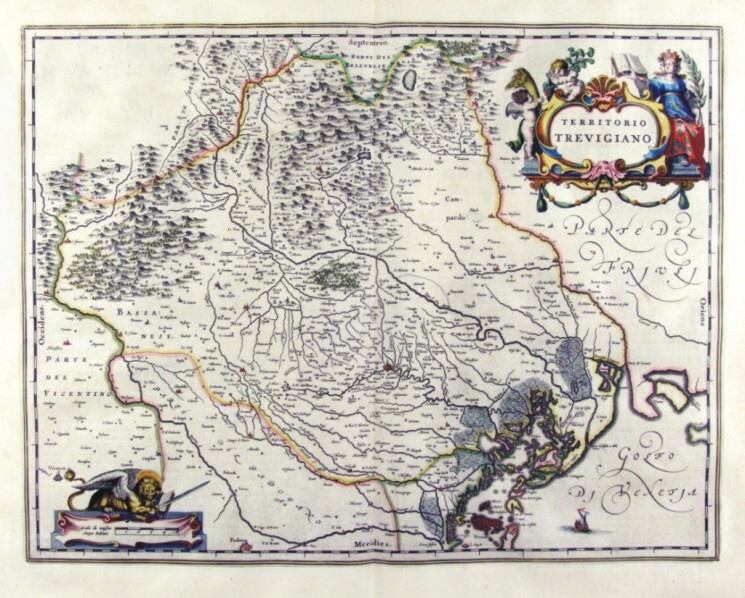 The Charter, which measures 49,7 x 38 cm is located in the Atlas Theatrum Orbis Terrarum sive Atlas Novus-tertia pars of Guilelmus et Ioannis Blaeu, printed in Amsterdam in the workshop of Giovanni Blaeu in 1650. 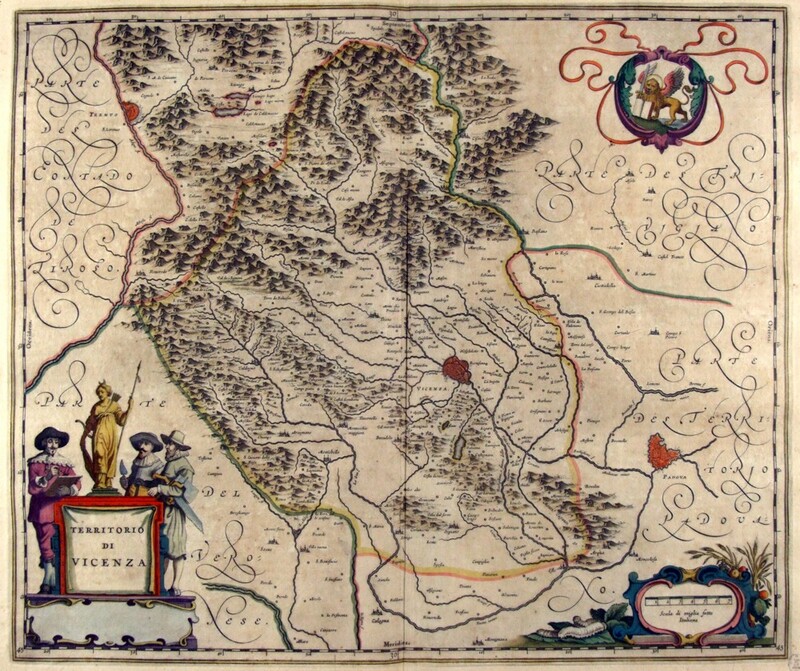 The Charter represents the area north of the domains of Earth Republica of Venice with the woods of the Bellunese reserved to cut to the oars of galleys. 351-Verona Vicenza - Italia . The map belongs to the Atlas sive Cosmographicae Meditationes de Fabrica Mundi et Fabricati Figura, published in 1644 in Duisburg. 352-Territorio Padovano - Veneto - Italia . The Charter, to what extent 49,7 x 38 cm is located in the Atlas Theatrum Orbis Terrarum sive Atlas Novus-tertia pars of Guilelmus et Ioannis Blaeu, printed in Amsterdam in the workshop of Giovanni Blaeu in 1650, but has been realized by Ihoannes and Cornelius Blaeu. Represents the eastern part of the Pianura Padana, sector of Verona and until March, and is enriched by various designs such as the lion of Venice, an allegorical figure with the serpent of Aesculapius a cartouche with dedication to the doctor d. Roberto Vander Hovve. 353-Polesino di Rovigo - Veneto Italia . 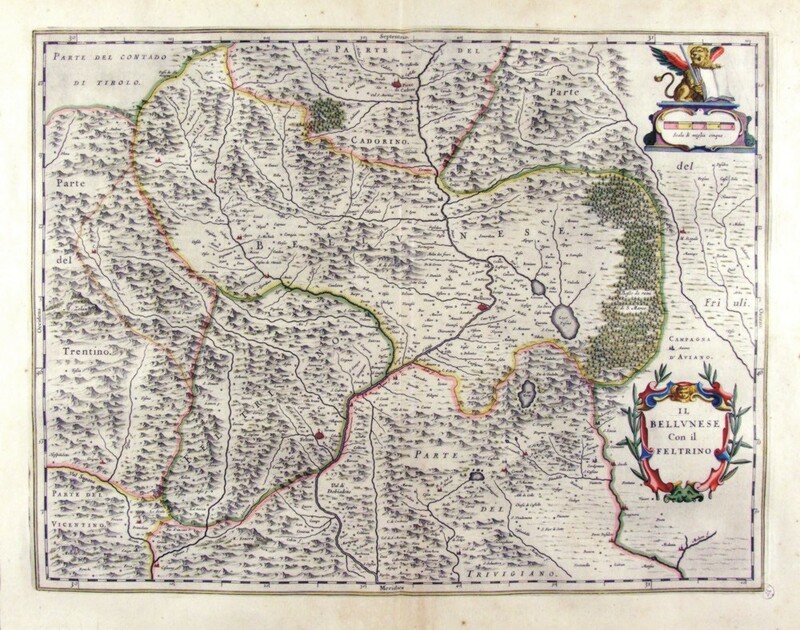 The map, which measures 49,7 x 38 cm is located in the Atlas Theatrum Orbis Terrarum sive Atlas Novus-tertia pars of Guilelmus et Ioannis Blaeu, printed in Amsterdam in the workshop of Giovanni Blaeu in 1650. 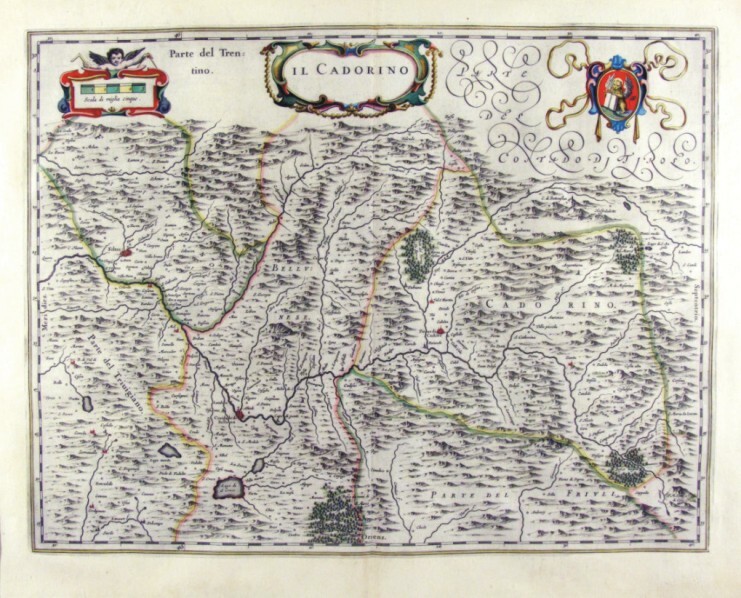 The Charter represents the Polesine, which is the sector most depressed the Po with Rovigo to downtown and the Duchy of Ferrara at the bottom. On top is the proposal a metric scale and lower right a cartouche with the title. 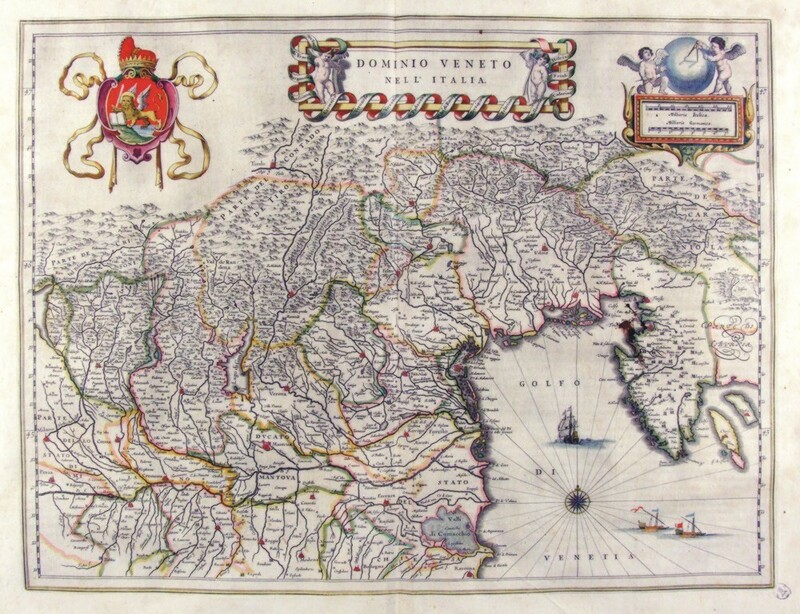 355-Dominio Veneto nell'Italia - Veneto - Italia . The map measures 50 x 38 cm and belongs to the atlas Theatrum Orbis Terrarum sive Atlas Novus - pars tertia - Guilelmus et Ioannis Blaeu, printed in 1650 in the Blaeu's family workshop in Amsterdam. It's a historically interesting document exposing the dominions of the Republic of Venice in the North of Italy. A wonderful decorating picture shows the Lion of San Marco. 360-Territorio di Verona - Veneto - Italia . The Charter, to what extent 49.7 x 38,5 cm is located in the Atlas Theatrum Orbis Terrarum sive Atlas Novus-tertia pars of Guilelmus et Ioannis Blaeu, printed in Amsterdam in the workshop of Giovanni Blaeu in 1650. 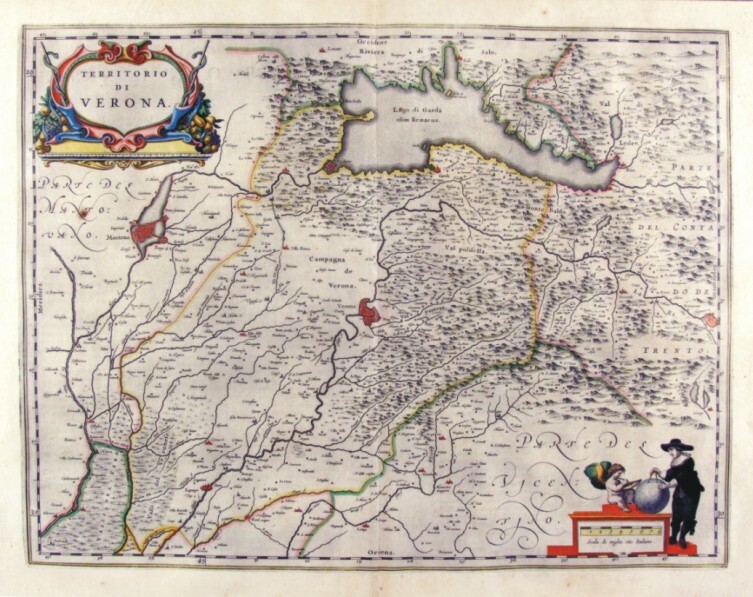 The Charter, which proposes the lable with the title at the top and bottom right a cartographer with globe, represents the area of Verona, Mantua from Duchy to the countryside of Trento. 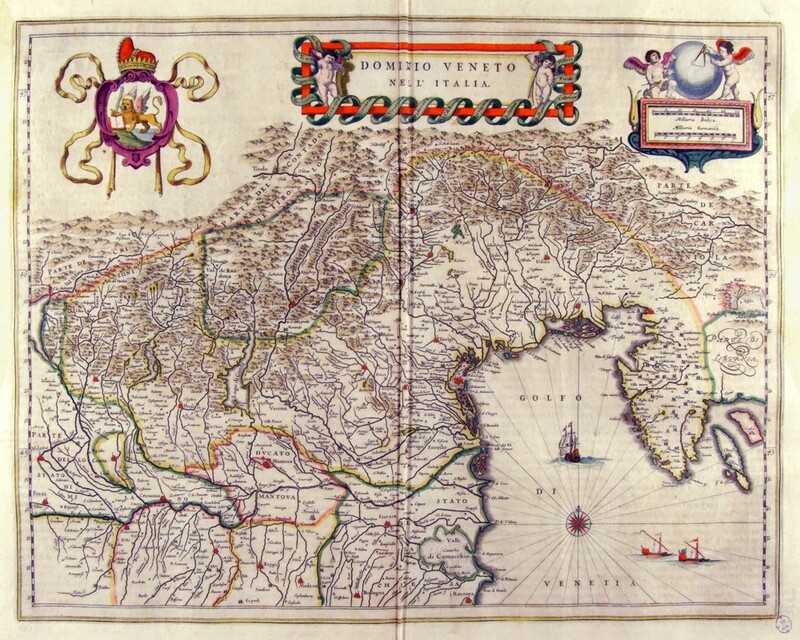 362-Dominio Veneto nell'Italia - Veneto - Italia . 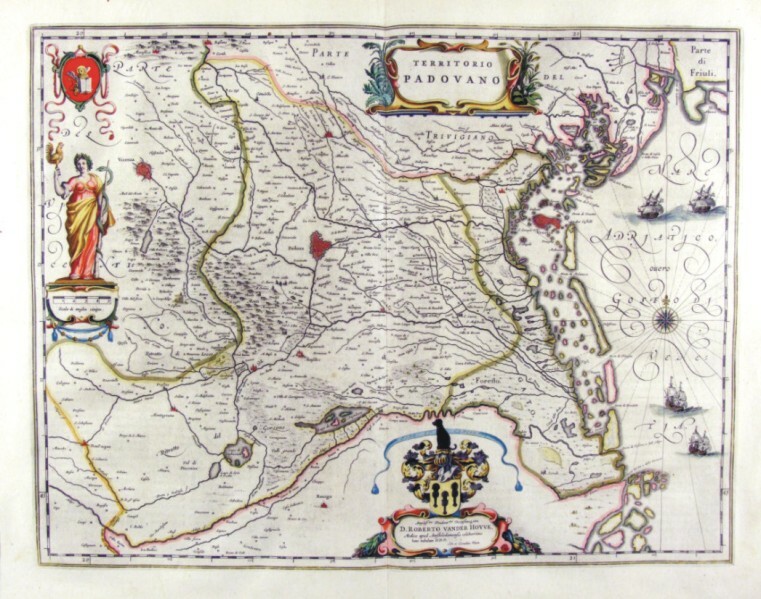 The map, which measures in the drawing cm 49 x 38.5 is contained in the Atlas Geographiae Blavianae volumen octavum Quo Italy quae est Europae Liber XVI of Blaeu printed in Amsterdam in 1662. 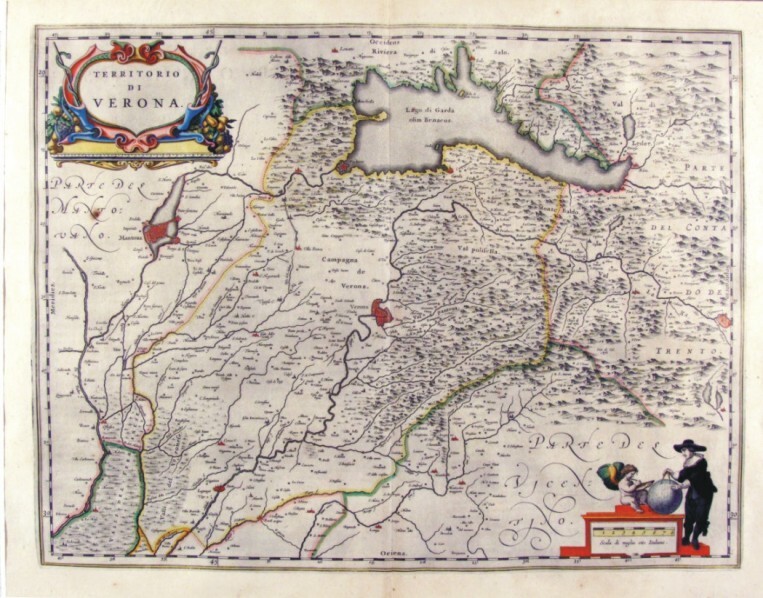 363-Territorio di Verona - Veneto - Italia . 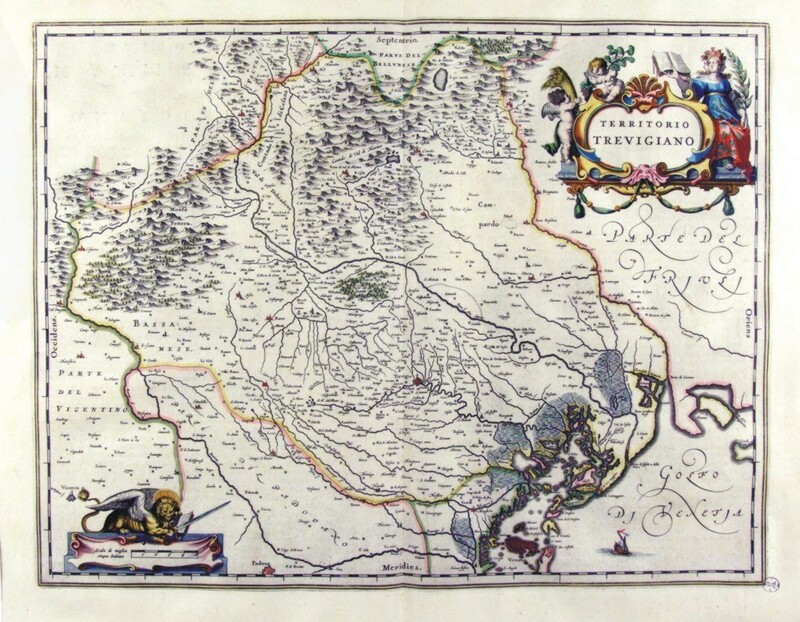 The map, which measures in the drawing 50.2 x 38,5 cm is contained in the Atlas Geographiae Blavianae volumen octavum Quo Italy quae est Europae Liber XVI of Blaeu printed in Amsterdam in 1662. 364-Territorio di Vicenza - Veneto - Italia . 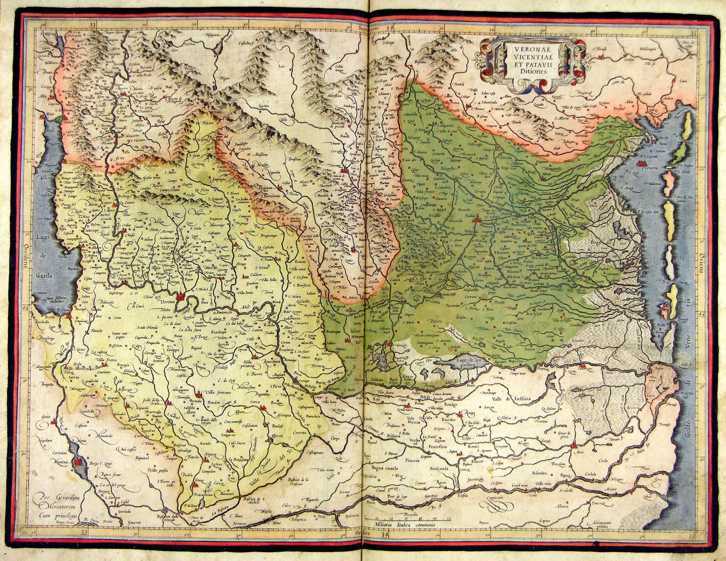 The map, which measures in the drawing 49.6 x 41.5 cm is contained in the Atlas Geographiae Blavianae volumen octavum Quo Italy quae est Europae Liber XVI of Blaeu printed in Amsterdam in 1662. 365-Territorio Padovano Veneto - Italia . 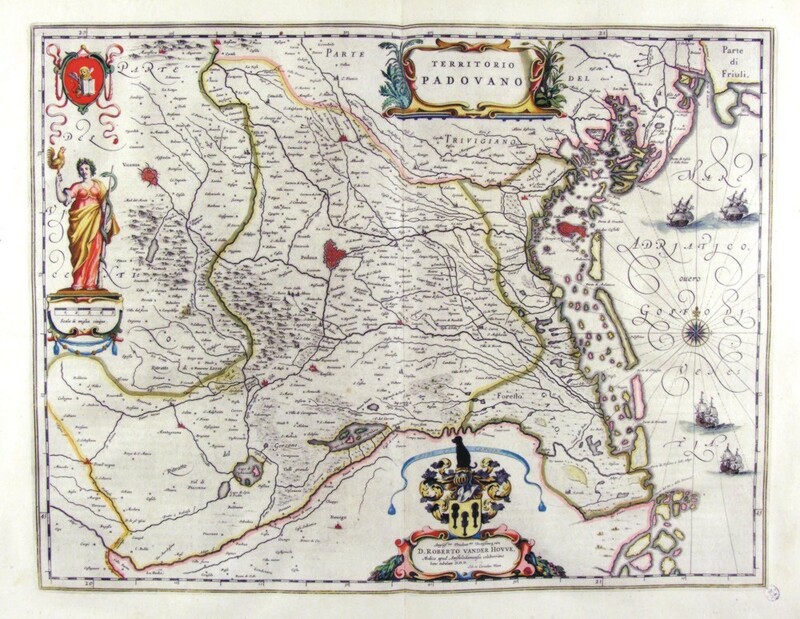 The map, which measures in the drawing 50.5 x 39 cm is contained in the Atlas Geographiae Blavianae volumen octavum Quo Italy quae est Europae Liber XVI of Blaeu printed in Amsterdam in 1662. 366-Polesino di Rovigo - Veneto - Italia . 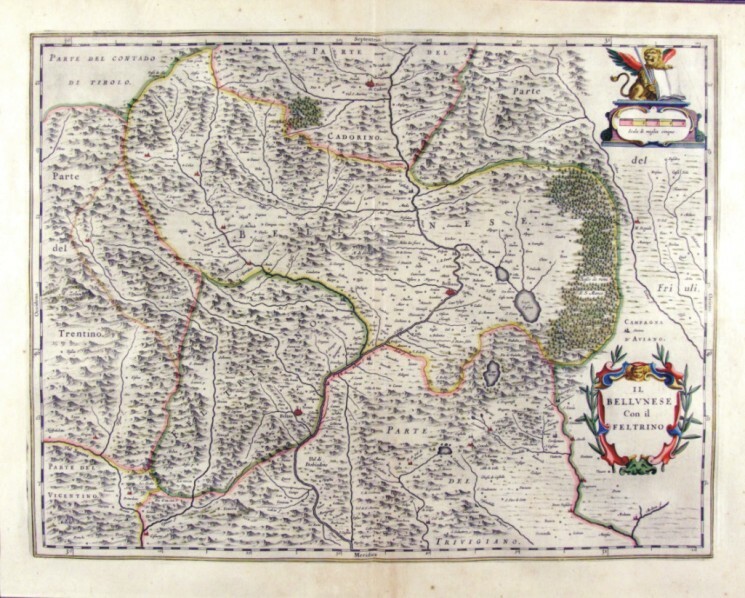 The map, which measures in the drawing cm 49,5 x 38.5 is contained in the Atlas Geographiae Blavianae volumen octavum Quo Italy quae est Europae Liber XVI of Blaeu printed in Amsterdam in 1662. 367-Territorio Trevigiano Veneto - Italia . 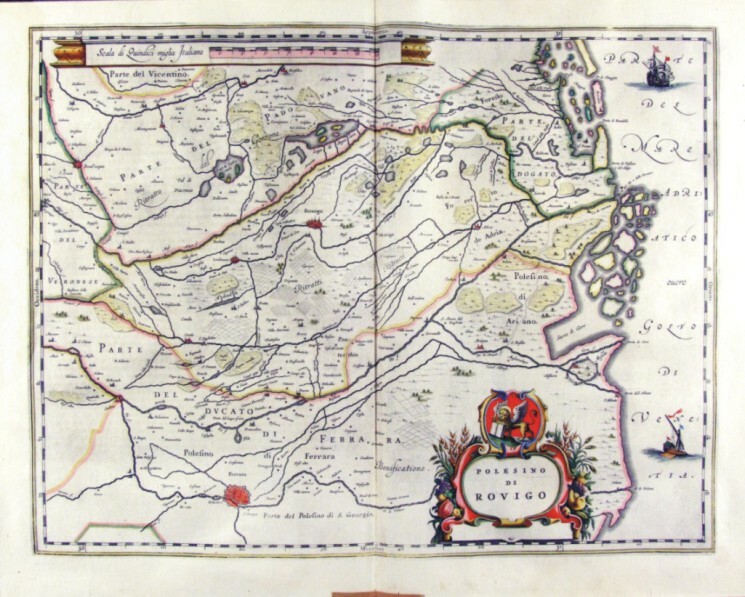 The map, which measures in the drawing 49.7 x 38,5 cm is contained in the Atlas Geographiae Blavianae volumen octavum Quo Italy quae est Europae Liber XVI of Blaeu printed in Amsterdam in 1662. 368-l Bellunese con il Feltrino - Veneto - Italia . 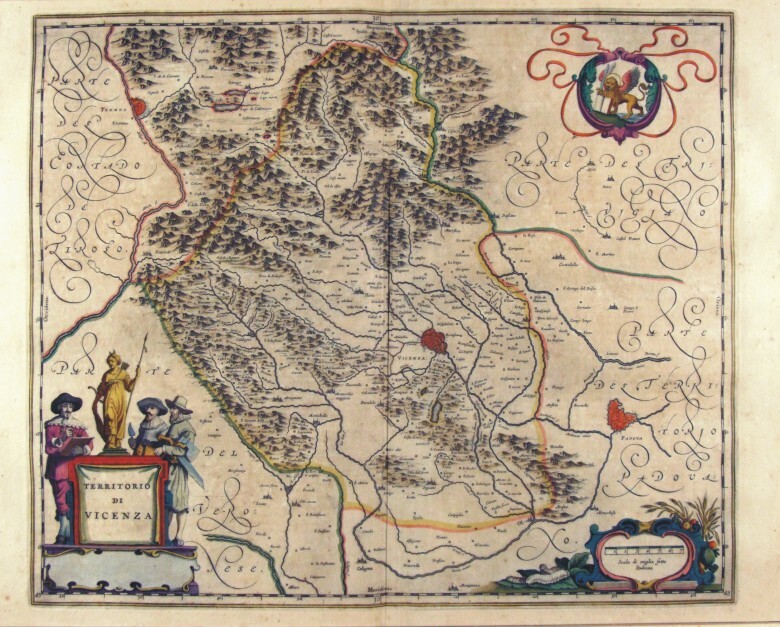 The map, which measures in cm 50 x 38.5 drawing is contained in the Atlas Geographiae Blavianae volumen octavum Quo Italy quae est Europae Liber XVI of Blaeu printed in Amsterdam in 1662. 369-Il Cadorino Veneto - Italia . 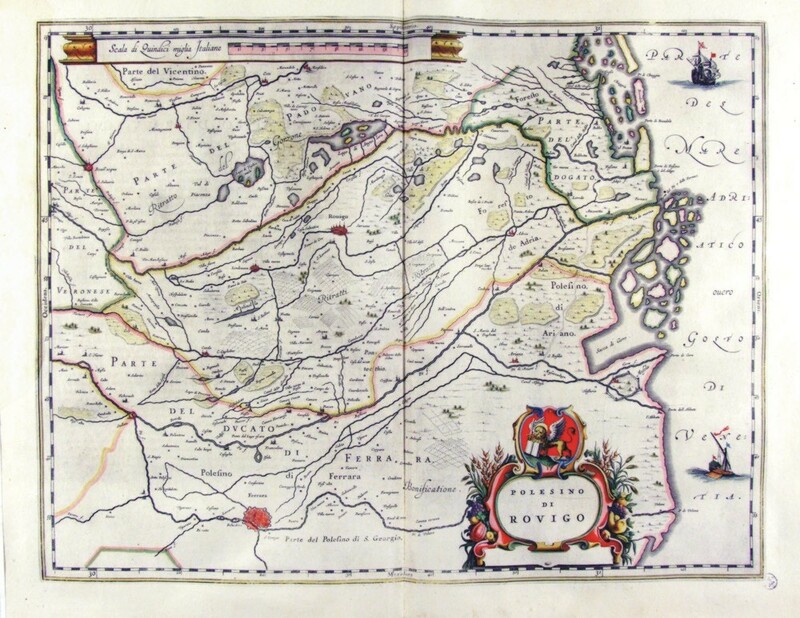 The map, which measures in cm 50 x 38.5 drawing is contained in the Atlas Geographiae Blavianae volumen octavum Quo Italy quae est Europae Liber XVI of Blaeu printed in Amsterdam in 1662.